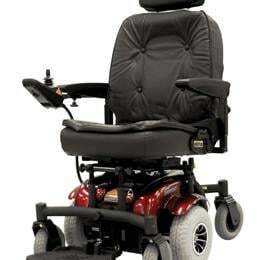 The Prescription (Rx) must be received by the wheelchair supplier within 45 days after completion of the physician's face-to-face examination, and prior to delivery of the power chair. • What is this patient's mobility limitation and how does it interfere with the performance of activities of daily living? • Why can't a cane or walker meet this patient's mobility needs in the home? • Why can't a manual wheelchair meet this patient's mobility needs in the home? • If a power wheelchair is provided, why can't an electric mobility scooter meet this patient's mobility needs in the home? • Does this patient have the physical and mental abilities to operate a power wheelchair safely in the home? • Is the patient willing and motivated to use a power wheelchair?